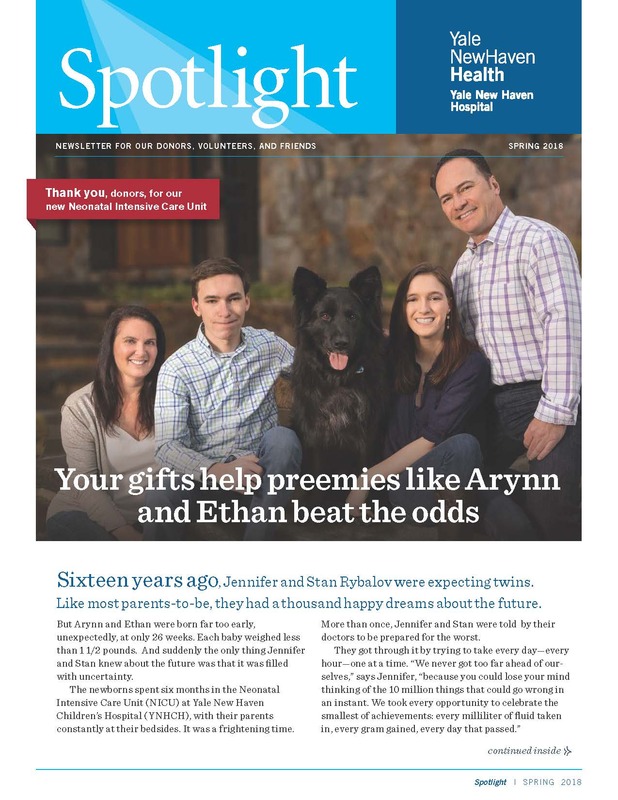 Spotlight Newsletter | Most advanced NICU in the U.S.
HomeYour ImpactSpotlight NewsletterSpotlight Newsletter | Most advanced NICU in the U.S.
ON JANUARY 30, the first patients moved into our newly renovated, expanded NICU. It’s “the most advanced NICU in the United States,” says Cynthia Sparer, executive director, Children’s Hospital and Women’s Services at YNHCH. We hope you’ll never need it—but we’re so glad it’s here if you do!